The first exploration, is for you to share via an email who you are and why you are in our class. 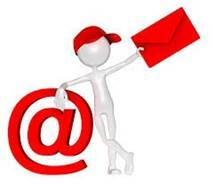 What is your external Email address. If you send your first email from that address I can add it to my contact list without typing. Since I have six classes Fall 2018: one A7 online, one A-15 (F2F)(Deerwood), one A-15 (Hybrid)(Deerwood), one B-12 online, one B-12(F2F), and one B-12 hybrid, I need you to identify which class you are in with each email communication via the subject line. What are your hobbies, your goals in life, where you work and what kind of job you have, how long you have done this job, your family, even your pets? Also, did you have high school chemistry? When? (Not a requirement for this class). Have you had other college chemistry courses? When? Did you Pass?